My time undertaking work experience with the South Cumbria Rivers Trust has sadly come to an end. 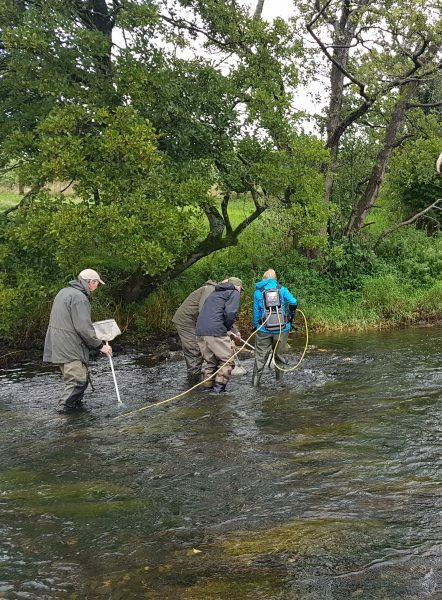 Since my last blog I have been busy out of the office, with the rivers and becks finally returning to their ‘normal’ levels following the recent drought we have managed to undertake our first and probably only electrofishing of the year. The river Bela was the chosen location and although the results were not what we were after, a bad result can in some way be better and more beneficial to everyone than a positive result. When Jayne first mentioned electrofishing to me I was a bit confused as to how it all worked, mainly as electricity and water isn’t the best combination. 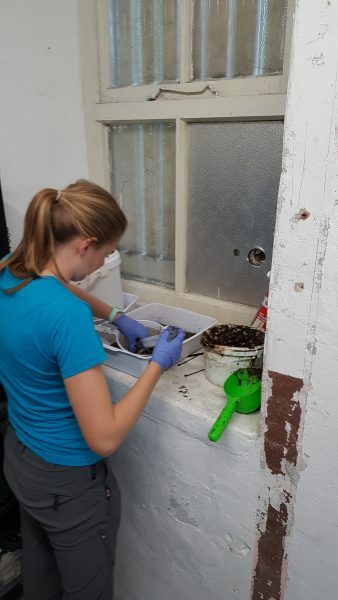 Yet basically, the fish get momentarily stunned and we attempt to catch them in little nets and place them in buckets ready for measuring and identification. With help from Ian and Jayne, as well as other volunteers we had the job done quickly and could take shelter from the true Lake District weather. I have also assisted with a fish rescue at Bannisdale Beck, where an exciting project to re-meander the river is being completed. The aim of this project is to slow the water down in flooding events allowing the surrounding land to hold water. Other than work in rivers, South Cumbria Rivers Trust do a lot of work to improve habitats. 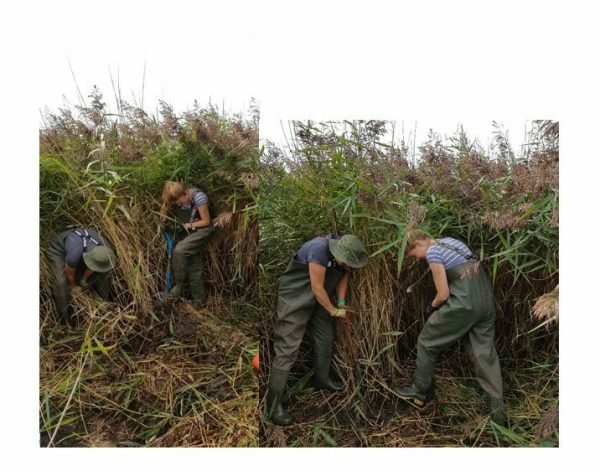 In fact, last Tuesday I assisted with the digging of reeds from Leighton Moss RSPB for planting on the shore of Coniston. A small team of volunteers with the help of Mike W, Matt and Kath meant we had the job done in a few hours, ready for the additional (and harder) jobs of planting and fencing the next day. A similar reed bed restoration project was undertaken on Windermere with success and hopefully this project will be a success. Today, my last day, I got the opportunity to help Jayne with a walkover survey around levers water, near Coniston Old Man. We had the help from Coniston Mountain Rescue who kindly gave us a lift up and down the vast majority of the way and offered their invaluable knowledge of the surrounding landscape. The views are lovely and we were blessed with brilliant weather, a dramatic change from yesterday’s drizzle and rain. With the survey complete my time is up, I would like to thank everyone who I have worked with and for giving me this opportunity to volunteer regularly, hopefully I will be back at some point! But for now, it’s time to go back to Aberystwyth University and complete the final year of my degree.